Rent a Mobile Cell Phone Charging Station Kiosk for your next trade show, company picnic, company holiday party, fund raiser or special event in the DC, MD, VA area. 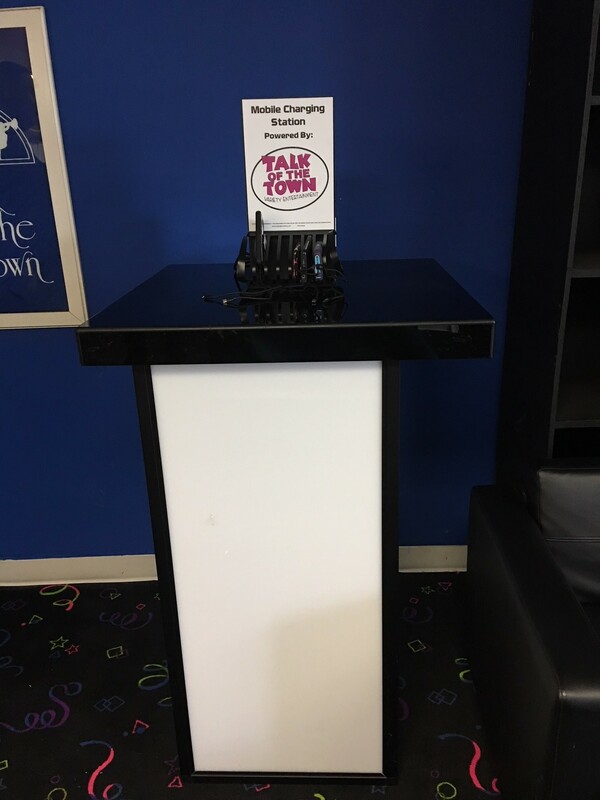 Cell Phone Power Charging Station Kiosk - This charging station brings an elegant design with big charging power - yet takes up little space at your event. Guests can engage with one another, around the cocktail table, while charging their much needed phone. Compatible with all major phone devices and powers up to 8 devices at a time.